Satellite navigation systems are extremely important, especially for those who like to travel to new places or for the poor souls who have a very bad sense of direction. Funny stories about sat nav blunders are everywhere and most are hilarious until it happens to you. For example, these 2 travellers were trying to get to Capri but mistakenly typed “Carpi” into their sat nav and ended up 400 miles off Capri… What a nightmare! Of course, in this incident, the problem was not the actual sat nav. For what it’s worth, their sat nav was working really, really well. Who knew a simple mistake like a misspelt destination would take them totally off their route. But setting the jokes aside, sat nav issues can be quite serious, as we trust and use these devices to accurately guide and take us to the places we need to go. A clear line of sight between your sat nav and the satellites it is using is necessary, in order for your navigation equipment to work properly. To get a proper fix of your location, you need to be in the line of sight of at least 3 GPS satellites. Factors such as weather and location can affect the signal strength, so typically when there is an intense weather condition, your sat nav will probably not work, however, that’s where offline maps come in. Possible Solution #1. Download offline maps before you set out. If you frequently update your these maps once they’re downloaded, it might just save the day if your sat nav loses signal. Possible Solution #2. Update your sat nav software. Making sure your sat nav is up-to-date is important. Software and firmware updates can be found on your device’s website. Possible Solution #3. If an update does not do the trick, do a soft reset on your GPS device. Doing a soft reset is not complicated and you will only lose your timezone settings and any customisations you may have made. With a paper clip press the reset button, which you can find at the back or under your device. Possible Solution #4. Do a force restart. For some Garmin devices, you can achieve a force restart by pressing and holding down the power button. Other Garmin devices can reset themselves when the battery is removed and then inserted back in, just like in a traditional mobile phone. Possible Solution #5. Do a hard reset. Unlike a soft reset, a hard reset reverts your device’s settings to default factory settings. Before performing this, eject your SD or mini SD card and back up your information because a hard reset will erase all your settings and data. Possible Solution #6. Hardware issues. Like most devices, sat navs are vulnerable to extreme heat. If your device is overheating, take the unit out to regulate the temperature, then try again. Possible Solution #7. Antenna issues. After performing solutions #1-6 and your device still has no signal, chances are there are some internal issues. If your device has serious internal issues you could take it to a service centre where technicians could replace any damaged or broken parts. If your sat nav is showing the wrong location, whether by a few meters or by miles, you might be experiencing some serious positioning issues. Possible Solution #1. Visit your device’s website and update the software and firmware to it’s most recent release. Possible Solution #2. Take your device to the service centre for recalibration. Some of the common complaints were about the dim lighting on the sat nav. Possible Solution #1. Check the power settings. Most likely, your power settings are on battery-saving mode. When this option is on and the battery is low, the screen display will automatically lower, therefore, making it dimmer. To avoid your device from automatically dimming itself when on battery mode, you have to unselect that power setting. If your sat nav keeps freezing and crashing, it may be due to some corrupted file. Possible Solution #1. Hard reset your device and reinstall if a soft reset does not fix the problem. Possible Solution #2. Format your device. Make sure you create a back-up of the settings before doing so. Unresponsive screen or touch icons not working. This is an indication of issues with the touch sensor. Possible Solution #1. Using an ATM card, lift the bezel around the touch screen. Lift it just high enough to get a few toothbrush bristles in, carefully work the bristles around the screen and observe if anything falls out. If you see grains or tiny grit, know that these are enough to mess up your screen sensitivity. If nothing falls out, use a can of air with a fine nozzle on and blast some air through as you lift the bezel. If that does not work, proceed with the next solution. Possible Solution #2. Take your device to a certified service centre and get a proper diagnostic. Chances are your screen and digitizer are up for replacement. When your sat nav keeps on rebooting, there are two possible reasons: your battery is defective or corrupted data. Possible Solution #1. When your sat nav does not have enough power to run all systems, it will resolve the issue by restarting. 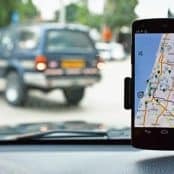 To determine if your device’s battery is the culprit or your car charger is faulty and defective, reset your sat nav, connect it to your computer and charge for 4 hours. If it works, your charger is most likely defective. Possible Solution #2. If your device is rebooting, the map is probably corrupted. If the map is corrupted, you need to run a clear flash tool on your device. Restart the device and connect again. Possible Solution #3. If the first two possible solutions do not solve the rebooting problem, that could mean the memory is faulty. Protect it from direct sunlight. Prevent your sat nav from overheating. This can be done by trying to keep your vehicle cool, in order to regulate the temperature of your device. Keep your sat nav away from water or any other liquid. Do not clean your sat nav by wiping it with just an ordinary cloth. It is best to use a lens wipe. If your sat nav fell on some mud, slightly wet a chamois cloth and use that to wipe the back and side parts of the sat nav. Use a lens wipe to wipe the screen. If you need to use your sat nav outside of your vehicle, make sure it is enclosed in a hard case, to ensure your device is protected in case you accidentally drop it. Make sure that the case is also waterproof. Just like any other equipment, to extend the lifespan of your device, you must protect it from falling, getting dirty or wet, overheating and allowing anything to impact it. At a normal day-to-day usage, a properly maintained sat nav should last more than 3 years. If you have tried the above or haven’t got the time or technical know-how, do not worry, we’re here to help! At Sinspeed, we offer Sat Nav Repairs for all in-built navigation systems. Get in touch today to see how we can help you! Tags : Freezing sat nav, Rebooting Sat Nav Problems, Sat Nav Issues and Solutions, Satellite Navigation Problems, Solutions to Satellite Navigation Issues.